That’s my wife Pam. I know this look. 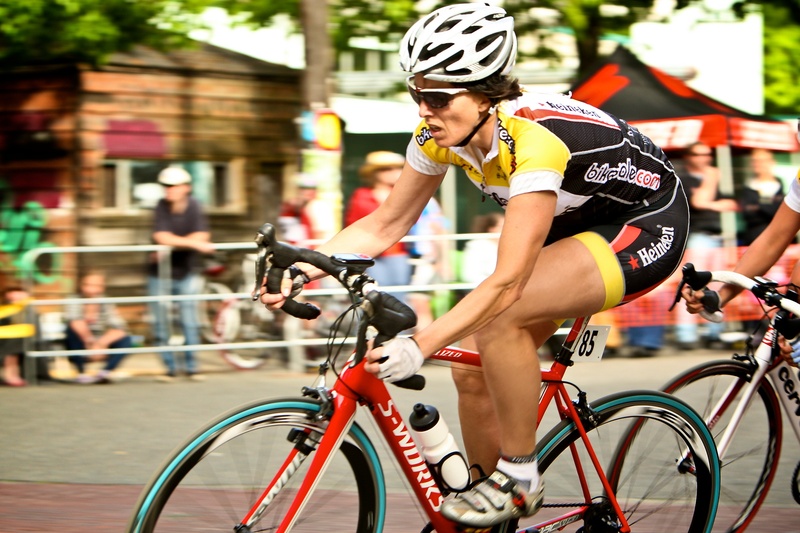 Seen it in person and it’s one of intense determination and she’s thinking, “gonna finish this f’ing race.” Props too cause we both got sick the day of Ballard, the PNW’s toughest crit. Pam raced it while I was at home in bed watching TV feeling sorry for myself. Pam and other women like her are who I ride with and have for decades. They’ve dropped me, me them, and we’ve had wheels for each other on those long, cold, wet days. I’m posting this here because of recent discussions regarding women and the bike industry. For the related timeline, Rick Vosper wrote about the flatness of the bike industry that some say has continued for 15, 20, even 35 years. Then special to Bicycle Times, Gear Gal Jil Missal, wrote an editorial that said the industry didn’t make women a seat, bike, or cater to her/them. I got tipped to it and asked repeatedly for a reply. Then posted this rant on G+. Cyclelicious reposted it here. See above photo of Pam again. Also look at a team like LuLulemon, the Exergy challenge or your local race scene. Not into pinning a number on your back and lining up at a sanctioned race? Well, I’m sure women are at Fondos, charity rides, and setting personal bests commuting to and from work. Also more women then I’ve ever seen at a MTB race were at Sea Otter, including this World Champ or BMX World Champ Magalie Pottier in Birmingham, England. Also see what Nona is doing who says, “pfft” to convention in marketing clothes to women. There’s this mistaken and misplaced undercurrent of women in the industry who think they’re exiled and were slighted this one time in 2004 or something. To the contrary, Pam is racing on a bike that got fit to her and on a thin, ergo saddle. If you haven’t visited a high-end shop in the past year, do so to see the incredible progress that’s been made in women’s gear, fit, and bikes. 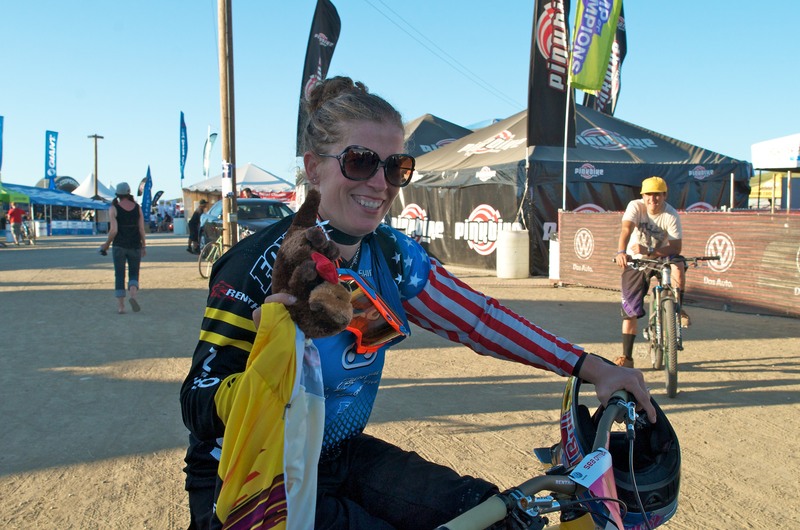 Rachel Lambert is on a dedicated mission at Specialized. Rode with her last year. Same thing at Trek and other bike companies. Another misconception promoted by the European “Ize” blogs is that women just ride around upright looking pretty in fancy shoes. Few, if any, I ever see doing that. Women I ride with wear their fancy shoes to parties after they trained and raced. To make the bike and sport more accessible to women, which of course it needs do too, first got to leave the old stereotypes behind. They’re outdated and so are the people that cling to them. The other thing I want you to know about Pam. She commutes, participates in the bike to work challenge, raises two kids, manages me, and our household. Has she come a long way, baby? Yes. Also brings home the bacon and fries it up in the pan. Then goes for a ride and a race on the weekends.